The What: Building on the success of the fully weatherized Danley OS-80 and OS-90 loudspeakers and the OS-115 subwoofer, Danley Sound Labs introduced the Danley OS-12CX. The OS-12CX uses the company’s patented Synergy crossover design, Sentinel limiter protection circuitry, and stainless steel mounting hardware to brace the OS-12CX against inclement conditions. The What Else: The Danley OS-12CX features a frequency response that is +/-3dB from as low as 69Hz to as high as 21.7kHz using a single 12-inch coaxial driver. It is rated at 400W continuous and 1600W peak and is capable of delivering 121dB SPL continuous and 127dB SPL peak. Its dimensions are approximately 30 inches tall by 26 inches wide by 11 inches deep. In addition, the Danley Sound Labs Centinel Protection Circuit is on both high and low frequencies. 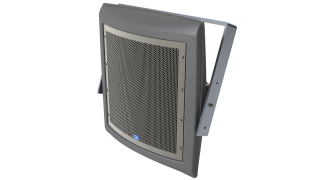 The Bottom Line: Like its siblings, the OS-12CX is built to withstand punishing rain, heat, and freeze/thaw cycles season after season after season, while delivering high quality sound. It is well suited for use in small- to mid-sized sports venues, water parks, and cruise ships, as well as larger distributed outdoor installations or as fill for end-fired systems.